Are These Bulls The Real Deal? Living in the Chicago area, there has been a rush of excitement in recent weeks for the Chicago Bulls of the NBA. There hasn't been this much excitement of NBA basketball in the windy city since one Michael Jordan led the Bulls to their sixth NBA championship in 1998. However, let's quell the talk of Derrick Rose being the new Jordan as far as hoops goes here in the windy city. I recently overheard two sports radio geeks talking trash about how Jordan may be jealous of Rose when the 1991 championship Bulls team was honored in Chicago a couple of weeks ago. Jordan quipped that Chicago basketball fans may be in for another run of championships and heaped praise on Rose and company. In fact, the Bulls have the best record in the Eastern Conference with the playoffs just a little over three weeks away. With the best ever player in the history of the NBA saying that, it just might be true. 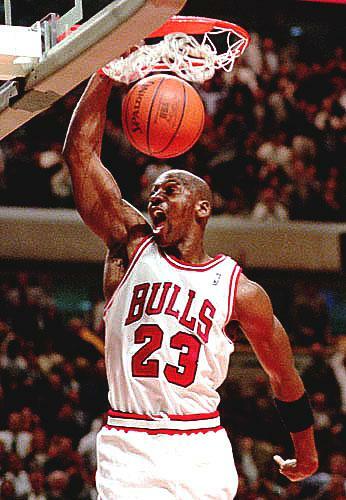 But the Bulls haven't done anything even remotely close to what the Jordan-era Bulls' teams did in the 1990's. They have to get past two huge nemesis in Orlando and Boston once the playoffs begin. Granted, Rose is hands down the league's Most Valuable Player in 2010-11 and he shows that night in and night out. But come on, Jordan was a six-time champion who led the league in scoring a record ten times and also racked up five MVP awards in his playing days. Having witnessed Jordan's NBA greatness up close during the late 1980's and through his first "retirement" following the 1993 season, it's my opinion there is absolutely, positively no comparison between Rose and Jordan. My own experience as the Chicago Bulls' Sound Operations Engineer at home games at the old Chicago Stadium and for the transition in 1994-95 into the United Center across the street on West Madison in Chicago gives me the knowledge first hand of just how special those Jordan-led Bulls' teams really were. Without going into details, there were times when the old Stadium was rocking so loud that people actually had ear plugs in during games and then Head Coach Phil Jackson would literally go off to the side with his assistant coaches during timeouts to go over strategy before addressing the team so they could hear each other. Jordan and the Bulls rocked the house and we added to the excitement with the top rated sports anthem of Rock and Roll (Part 2) by Gary Glitter echoing out during the frenzy of excitement after Jordan or Scottie Pippen or John Paxson just electrified the crowd. Those Bulls teams were the real deal and proved it over an entire decade. Can this current group, led by Rose, do the same? The 2011 Major League Baseball season opens March 31 as the Detroit Tigers travel to Yankee Stadium to play the New York Yankees. There are five other games on tap as well. April 1st is the season opener for the rest of the league as baseball returns for another exciting season. There are many questions to be answered over the summer as the season goes along, but none bigger than who will face off in late October in the World Series. The following offers a breakdown (capsule form) of the American League and National League along with post-season predictions. 1. Boston Red Sox- The Red Sox spend money like the Yankees so they better make the playoffs this year. 2. New York Yankees (wild card)- Expect more of the same from the Yankees in 2011 that we have been accustomed to seeing the past 15 years. 3. Toronto Blue Jays- Question marks abound for this team that looks to crack the post-season for the first time in many years. 4. Tampa Bay Rays- This team lost a lot of players and manager Joe Maddon will be hard pressed to make the playoffs this year. 5. Baltimore Orioles- This team could surprise some with the young pitching staff and some veteran talent added to lineup. 1. Chicago White Sox- Barring injuries, the Sox have no excuses in 2011. 2. Minnesota Twins- This team always seems to contend in the AL Central and will do that again this season. 3. Detroit Tigers- Lots of potential for this team, which has been an under achiever since '06. 4. Cleveland Indians- Why bother? 5. Kansas City Royals- See above. 1. Texas Rangers- Came close to winning it all last year; they will be hungry again in 2011. 2. Oakland A's- This team is on the rise. 3. Los Angeles Angels- This team is on the decline. 4. Seattle Mariners- Ichiro... worth the price of admission. 1. Philadelphia Phillies- Great pitching staff (starters that is) but questions in lineup as Chase Utley battles injuries. 2. Atlanta Braves- A new manager and a new era for the Braves. 3. Florida Marlins- Another .500 type season looms here in 2011. 4. New York Mets- Will this team actually contend this year? Nope! 5. Washington Nationals- Will challenge the Mets for fourth place this season. 1. Cincinnati Reds- Joey Votto and company look to go farther this season. 2. Milwaukee Brewers- A good, solid team with added pitching depth in Zack Greinke. 3. St. Louis Cardinals- Tony LaRussa may be on the hot seat this year. 4. Chicago Cubs- The Cubs could be a pleasant surprise in 2011... or not. 5. Houston Astros- The Astros continue their run of mediocrity in 2011. 6. Pittsburgh Pirates- A glorified minor league baseball team. 1. San Francisco Giants- The Giants are going for the repeat in the Fall Classic. 2. Los Angeles Dodgers (wild card)- This team has a chance to do some good this season. 3. Colorado Rockies- A good, solid team that will challenge the Giants and Dodgers. 4. Arizona Diamondbacks- Looking toward the future. 5. San Diego Padres- Last year is over and they blew their chance down the stretch. Friday Fun with Fox And "Friends"
The theme for Fox "News" Channel and the republican party! Donald Trump might be considering a run for President of the United States. But it's true. Never mind the fact the republicans want to take away health care coverage from millions of people, including children. Just keep reporting on Trump and his massive ego. 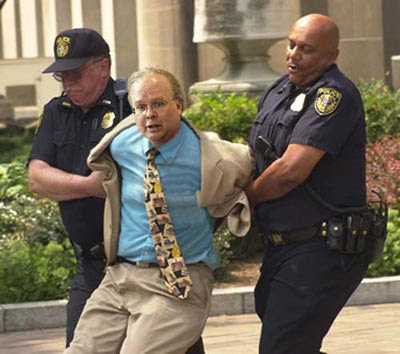 This guy should have gone out with the '80's, but the corporate controlled media in our country keeps him in the limelight and all the lemmings follow right along. 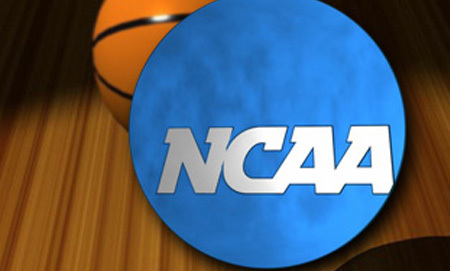 How about that NCAA Basketball Tournament (as we shift gears on hodgepodge Wednesday) so far? Heftyinfo is dead in the water with predictions on the Final Four. Pitt, Texas and Syracuse all went down in flames in the Second Round, but Kansas is still alive. Seriously, how does Pitt lose to Butler on a bone headed foul in the last second, literally, of the game? How does Virginia Commonwealth, whom NCAA hoops guru Jay Bilas (ESPN) deemed unworthy of the big dance, advance to the Sweet 16? Upsets galore in the second round and now we are being treated to the likes of Butler vs. Wisconsin in what could be a lower scoring game than the 69 combined points put up by Wisconsin and Penn State two weeks ago. Shifting gears once again, do we really need to be involved in another "war" effort by engaging in Libya? C'mon Barack Obama, grow a pair and tell these global elites where to go already. So sick and tired of the big oil companies and Wall Street cronies dictating everything single frickin' move our leaders should make. Until next time, have fun everyone. 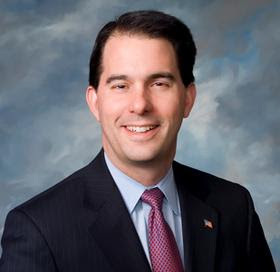 The following is from an e-mail sent by a Wisconsin state worker to Wisconsin Governor Scott Walker. "Thanks for the 10% pay cut," wrote a Department of Corrections employee. "I can't believe that I voted for you. Get bent." That is the prevailing attitude of people in the state of Wisconsin toward governor Scott Walker. From one American to another. All I have to say about the current situation in this country of ours (that we still call the United States of America) is that things have got to get back to the basics. Now I don't know about anyone else, but when I was growing up in the Chicagoland area in the 1970's and 1980's, the United States was a better place. People got along better and there wasn't all the strife and price gouging going on that we see today. Politicians were not so blatantly arrogant and dictatorial as they are today. Just look at the situations going on in Wisconsin, Michigan, Ohio, Indiana and other states around the nation. You would think with modern day technology and the advancement of working people buying homes and raising families, that all is well. There is, I feel, an evil force permeating America today and that evil force is one of the seven deadly sins known as greed. Greed is nothing new to mankind, but it really is out of hand in today's American society. Look at the garbage that passes for entertainment these days on television and at the movies. It's no wonder people's priorities get messed up and real responsibility isn't met. In days past, people really stood by one another and we didn't have the constant political tension going on in the country we have today. Now, I will admit that Heftyinfo does not hold back, but in this instance I am open to suggestions from people who regularly read this blog. Even those who may be casual readers or first-timers feel free to offer suggestions on what can be done to help this country of ours get back to the basics and become a producer nation once again where real wages are paid to people for a fair day of work. Where the tax breaks aren't piled up on the middle class (or what is left of what we consider a middle class) and the tax breaks go to the richest two percent of Americans. You know, pay your fair share... everybody that is. Here's a chance for some real correspondence, but maybe I shouldn't hold my breath because it seems like a lot of people these days (for whatever reasons) just do not care anymore. From one American to another, get your thoughts and facts together and express your views. And one other thing, "Have a good day, unless you choose to do otherwise." 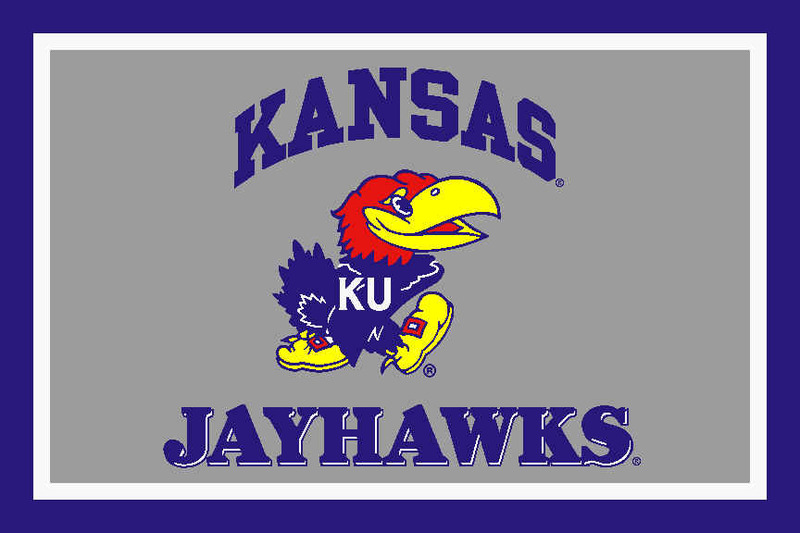 The NCAA Basketball Tournament gets going full swing on Thursday, March 17th with the four number-one seeds being Kansas, Pittsburgh, Duke and Ohio State, which is the top ranked team in the nation as the tournament gets rolling. 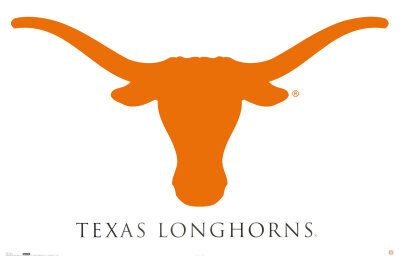 Heftyinfo predicts the Final Four will be Syracuse, Texas, Kansas and Pittsburgh. 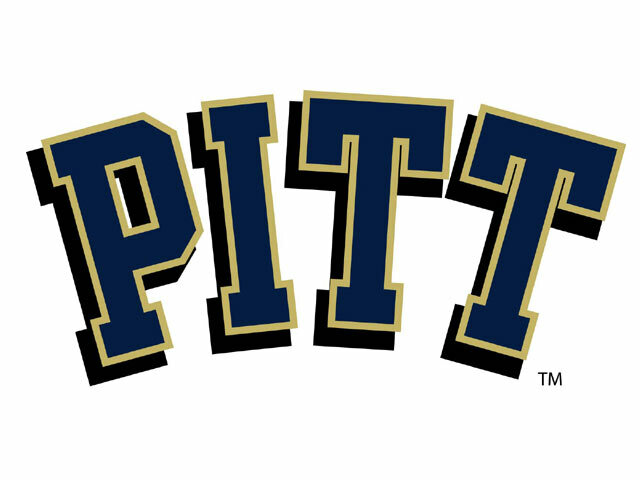 Taking Pitt and Texas in the Championship Game on April 4 with Pittsburgh winning it all this year. The Big East, with a record eleven teams in the 2011 tournament, will rule college basketball this year. The move by Republicans in Wisconsin proves just how desperate they are to strip working people of their rights. Fact: The GOP is dead and they just cut their own throats with this move. Corporate dollars be damned... the people of this great nation have been awakened and will fight back. The following video describes what went down by the scumbags in the Wisconsin State Senate on Wednesday night in Madison, Wisconsin. Every year brings new surprises to the NCAA Tournament and this year looks to be no exception. Remember last year when Butler almost stunned the nation by pushing Duke to the final horn before losing a two-point decision in the Championship Game. The various conference tournaments are going on this week and in fact, some have already wrapped up with some of the mid-major teams already qualifying for the NCAA Basketball Tournament, which gets started next week. The Big East is loaded again in 2011, and boasts perhaps the deepest field of qualifiers for the tourney this year. Pittsburgh, Notre Dame and Syracuse headline the conference along with Louisville, St. John's (NY), West Virginia, Cincinnati, Georgetown, Villanova and Connecticut rounding out the best conference in collegiate hoops. Yes, the Big East may field ten teams in the tournament brackets this year. Right behind the Big East is the Atlantic Coast Conference and Big Ten. Defending champion Duke is right there in the thick of things along with North Carolina (which won it all two years ago) in the ACC tournament. The Big Ten features top-ranked Ohio State and a solid contender in Purdue. Wisconsin also looms large in the Big Ten and even Illinois, which always seems to peak during the conference tournament. Out West is Brigham Young, which has had a big season and San Diego State as well. The Pac Ten Conference has Arizona and UCLA, along with USC and Washington waiting to do battle in that conference tournament this week. There are so many other conference tournaments taking place in the next week and no doubt some teams that may not be so deserving after so-so seasons may get hot for three or four days and sneak into the field. There will no doubt be both joy and heart break as the field is announced next Sunday evening for the 2011 version of the tournament. But one thing is for certain, there are no certainties in college basketball and this year may be even more surprising than last year's tournament. How Much Has Really Changed Since Then? If corporate America and the right wing neo-con movement has it's way, this country we call the United States of America will continue to go backward in time. Don't let them have their way! Get informed and stay informed and get the right wing radicals out of office in the next election.